This is just one of those things you have to see to believe. 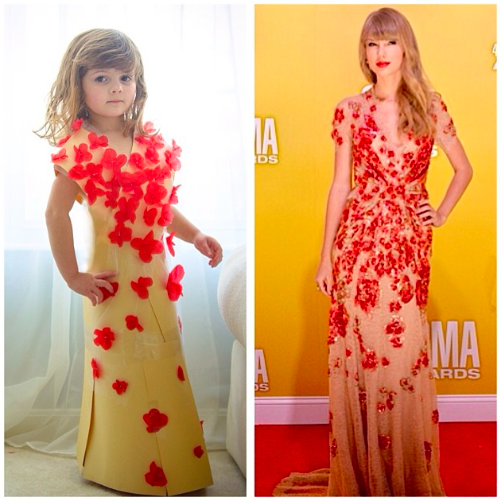 When we first heard a mother daughter duo were recreating famous dresses using paper, with the daughter as the model, we weren't quite sure what we expected to find but it certainly wasn't this. 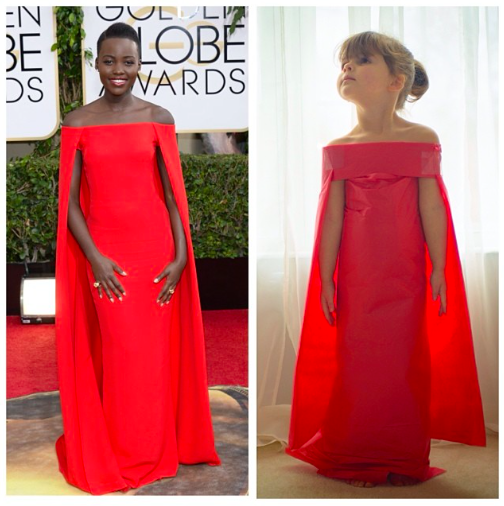 Imagine a four year old wearing Lupita Nyong'o's Ralph Lauren red cape dress from the Golden Globe Awards. Well, actually you don't even need to imagine it as it's right here front and centre. Sure, it's made out of paper, but that only makes this even more genius. And the fun doesn't stop with red carpet looks. 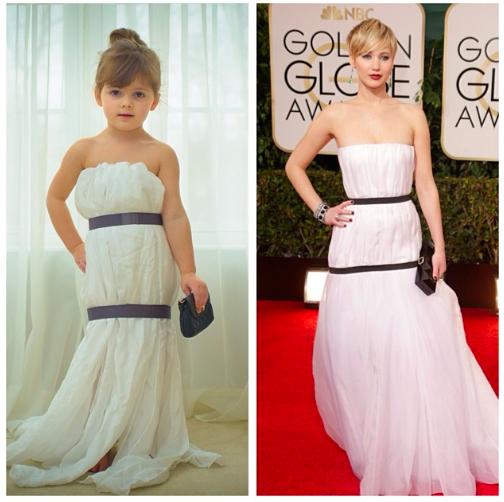 This mother daughter instagram team have recreated looks from catwalks, Project Runway, movies and more. It's became an instagram account to follow, racking up over 250,000 followers and hundreds of thousands of likes after sharing just over 650 pictures. Just goes to show you can do anything on social as long as you have the imagination and time to follow through.